Painting your roof is one of the most important aspects of roof maintenance. A well-painted roof serves two purposes. Firstly, it looks fantastic and complements the design features of your home. Secondly, it protects your roof from the harsh weather of North Brisbane. Here at Strongguard, we know exactly how to maximise the benefits of a well-painted roof for you. We offer a wide range of roof painting services and use only the finest quality paints and primers. Not only can we modernise your roof with a shiny new paint job – we can also use reflective heat technology to improve your home’s comfort and energy efficiency. Homes and businesses alike stand to benefit a great deal from having a well-painted roof and with over twenty years of industry experience, Strongguard can deliver. There are multiple factors that might prompt you to get your roof painted. Regardless of your reason however, repainting your roof is always an important thing to do. A high quality paint job on your roof will ensure that it lasts longer and reflects the heat of the sun more effectively. Furthermore, a new coat of paint on your roof can transform the appearance of your home. Here at Strongguard, we offer an unrivalled range of colours and styles, so that you can customise your roof and its colour. Our team of professional roofers know the importance of a quality paint job. For this reason, we are meticulous when it comes to both the preparation stage and the painting itself. We use and recommend only the highest quality products and we will ensure that our products are well suited to your roof specifically. Throughout our years of experience, we have identified Shieldcoat and DULUX paints as the best for North Brisbane roofs. If you get your roof painted, you will be faced with many choices in terms of colour, finish and more. To help you get the best possible end result, we offer excellent service and advice from when you first contact us, to the completion of your project. When it comes to the painting itself, our roofers are meticulous and follow a strict preparation and painting process. The first stage of our painting process is to set up the worksite. This is important is it ensures the safety of our roofers, and the quality of your work. 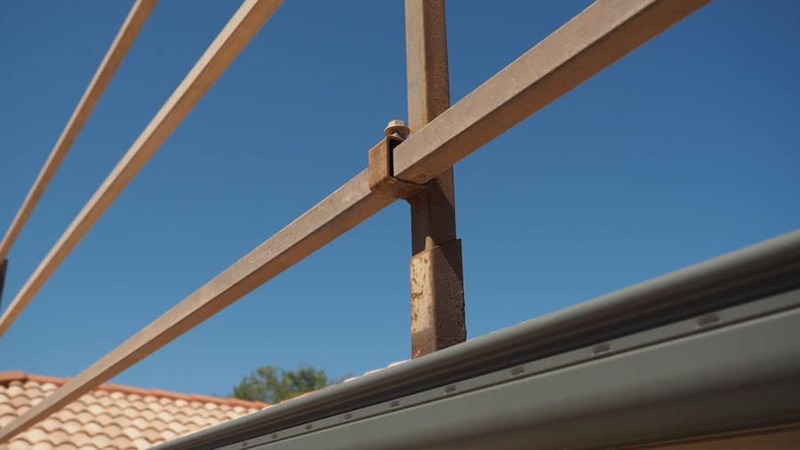 To set it up we erect safety guardrails and scaffolding, before conducting repairs to your roof if they are necessary. Such repairs include changing broken tiles or caps. Following this, we clean your roof thoroughly, using a high pressure cleaner. This operates at a minimum pressure of 3000psi, which removes all debris and build-up from the surface. 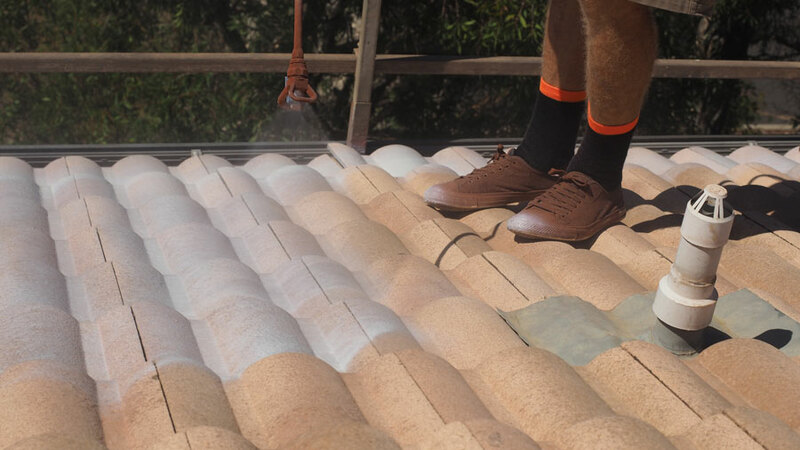 Once your roof has been cleaned, we repair the capping and tiles of your roof, if you have a tiled roof. Repairing these ensures that the paint is applied evenly and your roof is in great condition. After this, we apply a mould treatment to protect against mould growth. From here, we begin hand painting and masking off your gable ends and flashing to prevent overspray. By this stage, your roof will be ready to receive a primer seal. This prepares the surface of your roof for the following stages of the process. Once sealed, you roof can be coated with the high quality protective roof membrane. For ultimate protection, we apply two coats of this membrane. This marks the completion of the painting process, which means that your roof is in prime condition and will undoubtedly look great. When we finish the painting, you will receive a 10-year roof membrane and 10-year workmanship warranty. If you think that your roof needs a facelift, then contact us today. The team here at Strongguard are dedicated to providing end-to- end service, with quality and client satisfaction at the forefront of our priorities. We will welcome the opportunity to guide you through the process and discuss your many roof painting options. If you have any queries, simply call us, or contact us online – we are always happy to help. #1 What paint do you use? 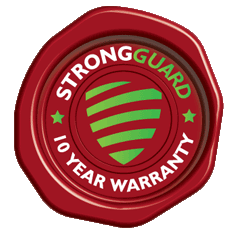 Here at Strongguard, quality is very important to us and in our twenty years in the industry, we have identified what works and what doesn’t. For this reason, we use only Dulux Acratex and Shieldcoat Roofbond – the finest quality roof paint on the market. #2 How long does the roof painting process take? On average, our roof painting jobs take around 2-4 days. We have found that this allows us enough time to properly prepare your roof and ensure that it is painted to the highest possible standard of quality. #3 Can I change the colour of my roof? Here at Strongguard, we understand that colour choice is important when it comes to painting your roof. For this reason, we offer over 70 colours of roof paint to choose from, so you can customise your roof colour to suit your preferences. 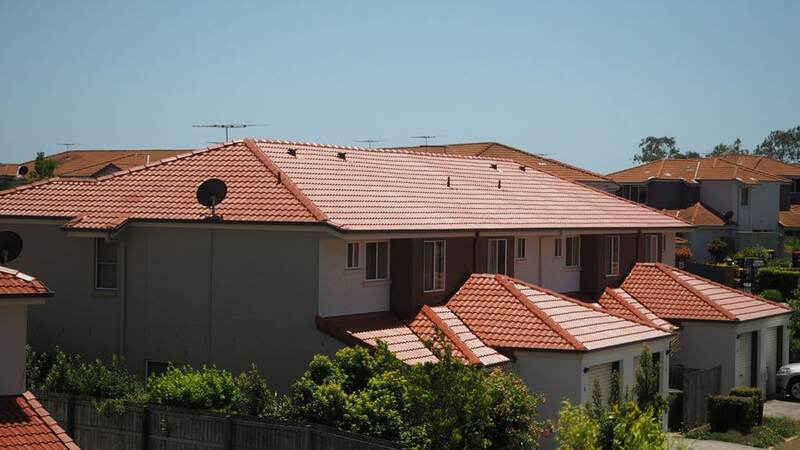 #4 Do you offer warranties for roof painting North Brisbane? We offer ten year warranties for both the workmanship of the job and the roof membrane. This means that you get the assurance of having long term protection for your roof painting job.